Annie and DJ’s winter Barn on the Pemi wedding in Northern New Hampshire was absolutely beautiful. DJ, Annie and I grew up in in the same small town of Concord, New Hampshire. Personally, I never meet Annie, but knew DJ from school, sports as well as playing softball in our 20’s. I haven’t spoken to DJ I would guess in over a decade after I moved to Colorado with my family 11 years ago. DJ reached out to me last year and asked for me to photograph his and Annie’s Barn on the Pemi wedding. Not only I would be honored to capture a friends wedding, but also have the ability to go back to beautiful New Hampshire would be a plus. This would be the first time I would shoot at the Barn on the Pemi and I was pretty stoked about it. The barn itself at one point was actually in a total other part of NH in Canterbury. They deconstructed the barn and brought it up to Ashland and put the barn all back together piece by piece and they made a beautiful wedding venue out of it. 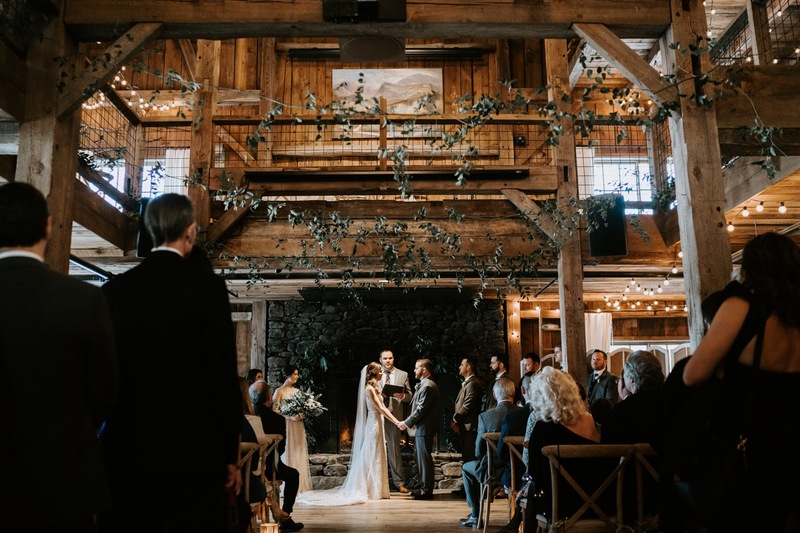 With the the recent snow storm that New Hampshire received prior to their wedding, all of the events took place inside the barn itself. The rustic barn couldn’t have been a better setting for Annie & DJ to express their love to one another with their closest friends and family in attendance. Here is a little peek of what we got into on their Barn on the Pemi wedding. Congratulations to you both, Annie & DJ…..enjoy! Are you engaged and looking for a photographer? Contact us to set up your adventure today.